Spring is here, but you don’t have to mow! We hope that you didn’t miss yesterday; it was the start of spring! At Hutcheson Horticultural Company, we love spring because everything is beginning to blossom and bloom. This means we can see the final colorful outcomes of many of the projects our landscaping designers have created. While this is a time that we celebrate, you may perhaps be finding yourself dreading the spring. Perhaps the new green growth means more mowing, edging, weeding, and pruning for you. Does the thought of all of that make you wish that you didn’t have to? Don’t worry, you don’t! Our motto, is “Relax and let us do the work.” We truly mean this and wanted to share with you that not only do we offer landscaping design and installation, but we also offer maintenance plans to meet your individualized needs. If these are all jobs that you would like someone else to do, we’d be glad to help out. 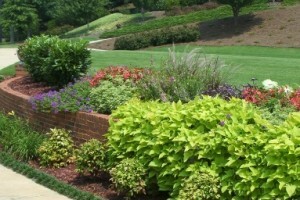 Give our Woodstock, GA landscaping office a call today at 770-924-1001 or click on the Schedule a Consultation button to use our contact form.